mom would make. 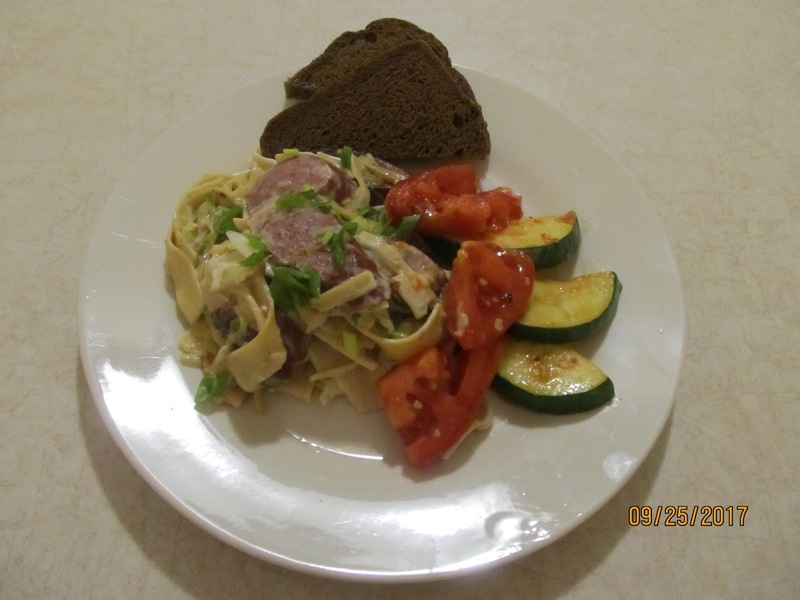 Its very filling and goes great with Rye Toast and saut’ed tomato and zucchini on the side. 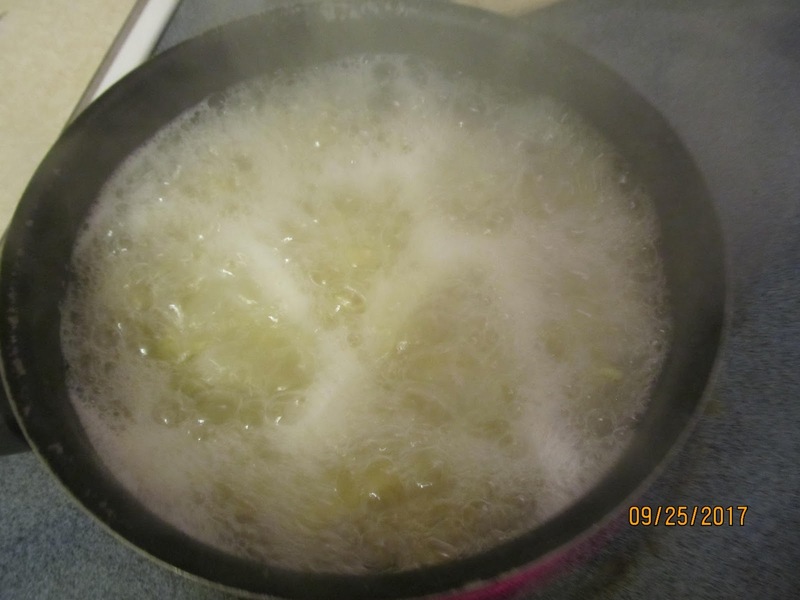 – Heat up the water, once boiling, add Kluski noodles. Cook until done, Drain in Colander. – Next, Heat butter in pan. 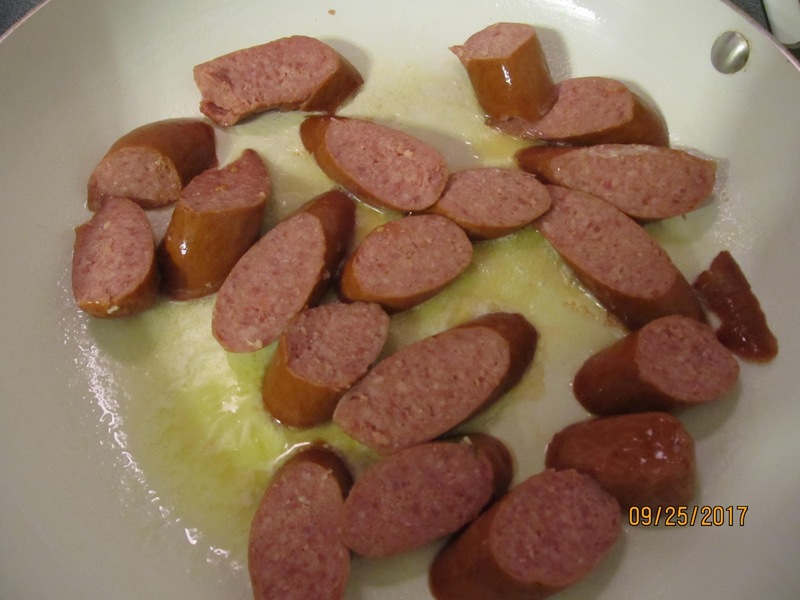 – Add Kielbasa and fry til browned. 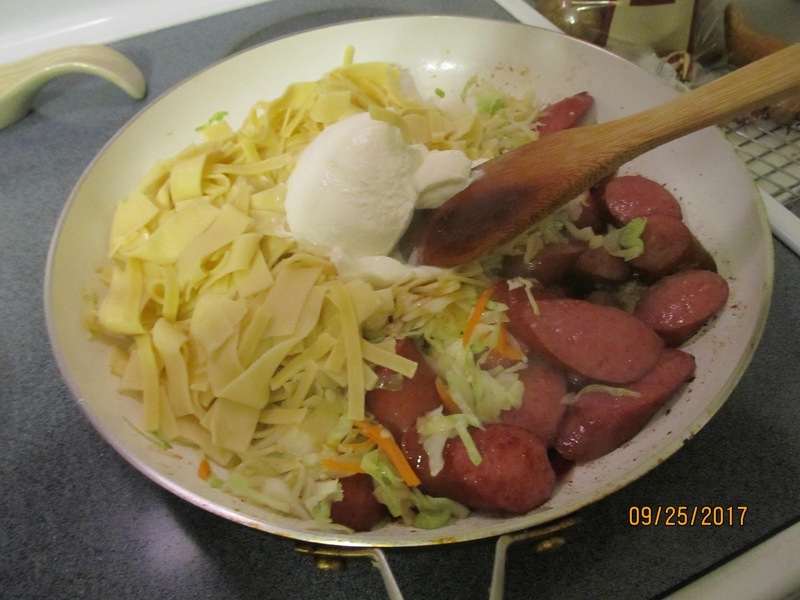 – Move Kielbasa to the side of pan. 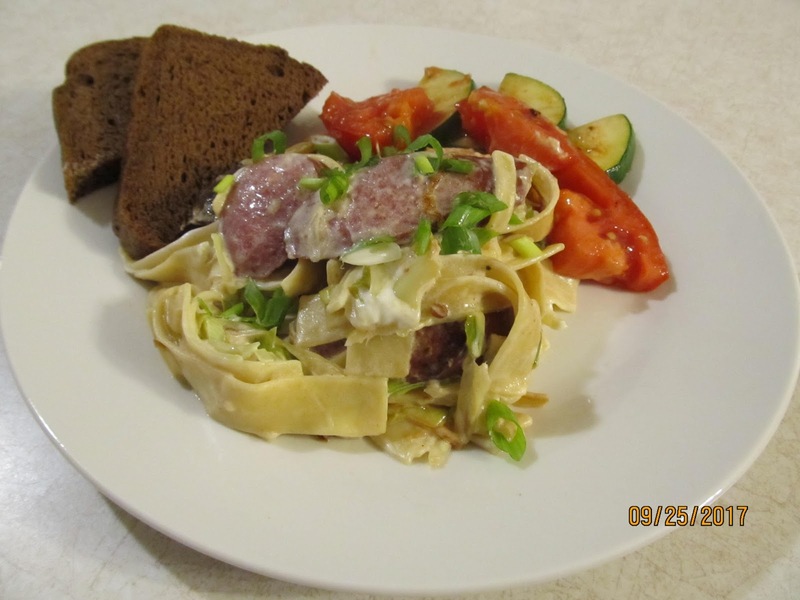 – Add shredded cabbage, half of green onion the garlic and saute. 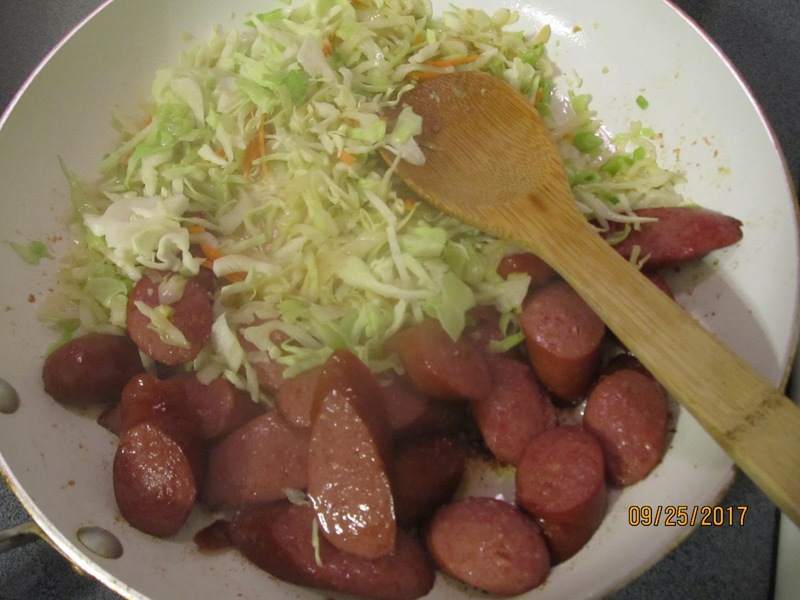 – Mix both the Kielbasa and cabbage together. – Add of the Sour cream. – Stir and mix together. 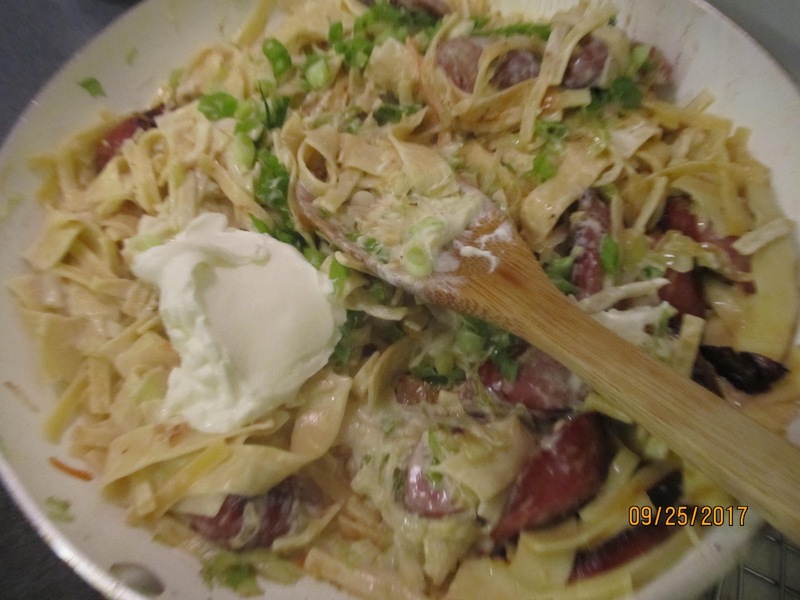 Add the rest of the sour cream and green onions and mix well. 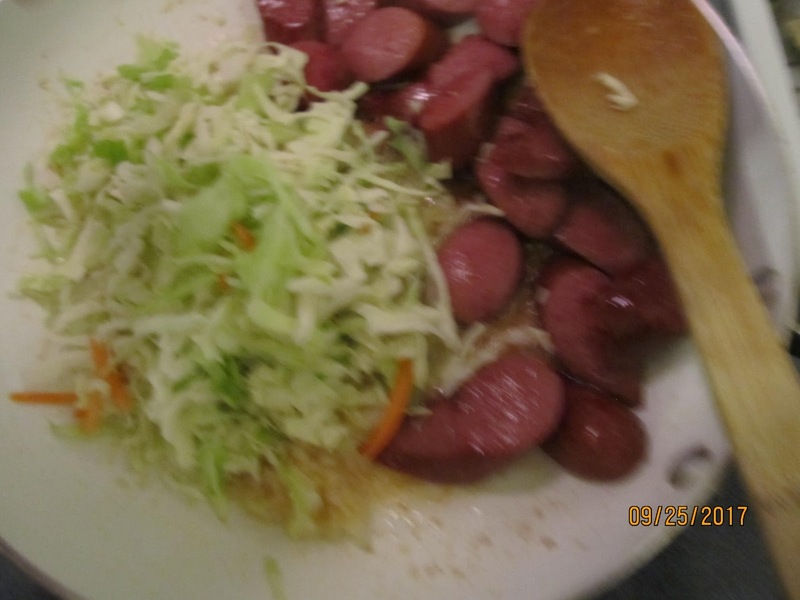 – Add salt and pepper to taste, but depending on the type of Kielbasa you buy, you should not have to add to much. Thinking of add-ins, what would your add-ins be.